Bada Boom (YouTube)! Seriously though, starting from this level onward the stages are getting a bit long. There appears to be a bug on this level. 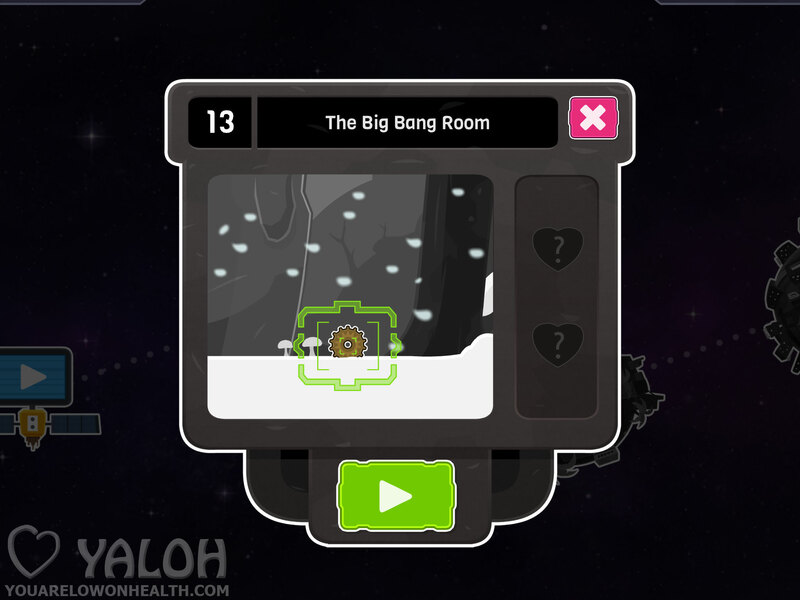 If you see buttons that do not rotate the blue shape above, restart the level. Don’t touch the buttons before you’re supposed to and it should work. Seems like accidentally or intentionally changing one of the purple icons to the correct setting deactivates the buttons later on. Omg am I really that bad at this game to wher eI cannot find the second item of which looks like a map?? I can’t find the second collectible? I saw a super weird thing while i was doing the thing with the red orb. This was such an interesting, intricate, and mystical level. Thank you for the help! I think I broke it at the ball part. At the moment, it is (from left to right) small, large, and empty. I can’t interact with it anymore. When you see the blue projections, there is a diagram- A line with three tick marks. It is on the right side. The lengths of those lines tells you where you should put the balls on the balance. You have to change the symbols to the star and moon when the light is off or the buttons won’t change from the rectangles to the semi circles and you won’t be able to rotate the wall chart. Took me so long to do this. Thank you for the walk through! Love the references to The Room. Which part exactly do you mean? There’s several like it! I’m stuck here, too – the rectangle buttons simply will not turn the blue projection above. Not even restarting the game works. I’ve investigated this a dozen times and there does appear to be a bug. It seems that playing with the purple buttons and changing them to the correct setting too early prevents them from changing to the semi-circles and deactivates them entirely. All I can say is – following the steps above exactly, WITHOUT touching the buttons has worked every time in over a dozen test runs. #Trivia: While “A Shady Factory” paid a quite obvious homage to “Limbo”, this level does the same in a more subdued manner to an indie hit from 2012. The game mechanics with the box and art (down to the visible in the dark markings) are a well executed homage to “The Room”. Easily one of my favorite levels in the game. Did you see the recurring symbol for The Room there? There’s also the Super Smash logo. See how, in your slide, the buttons are half circles? Well, mine are still those plain rectangles. I’ve tried restarting, too. Nothing works. I’ve been on this level, and whenever I get to the part where I have to press the buttons to make a certain circle thingy, the buttons don’t work. Please explain. It’s a pleasure. Glad I could help!